I took my little gray Volkswagen Beetle rental car & headed towards the North Coast of Oregon to explore, and learn. Life has happened very fast for me over the past few months. I had been coping with my confusion, grief through filling my life with as much meaning as I can find, and everywhere I can find it. I have traveled all over the world from the Arctic to the Sahara searching for life to breathe something new into me. I began searching for something heavier in everything I did. Every person I met. I drove way too fast in my little gray Buggie, through the rainy, winding, mountainous of 26 West today I had this familiar feeling that I keep having all the time now. I keep feeling that every where I am is exactly where I am meant to be. Doing exactly what I mean to be doing. Each day has its struggles, along with its gifts. My brain & heart are slowly but surely teaching themselves how to cement their broken pieces and each day is a small victory. 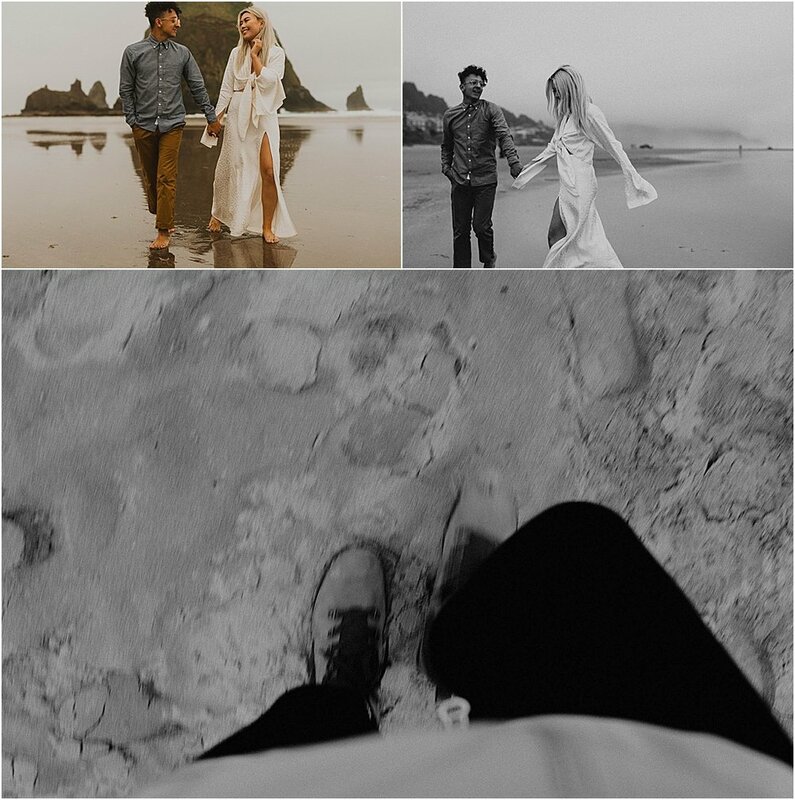 We did this very short but beautiful shoot on the Coast of Cannon Beach & although I didn’t get to know this couple very well with our short amount of time together, I was still able to tell a small little story of their love. Paris Editorial : The First Fifteen Minutes.